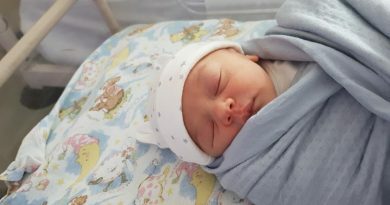 Before we start the race action we have some great news to share about two of our members – Amanda De Ridder and Tim Kenny. They have recently returned from New York where they got married and are already back on the Park Run trail. 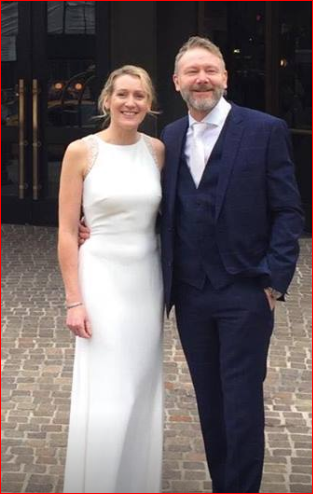 Congratulations from us all and we wish Amanda & Tim every future happiness together. 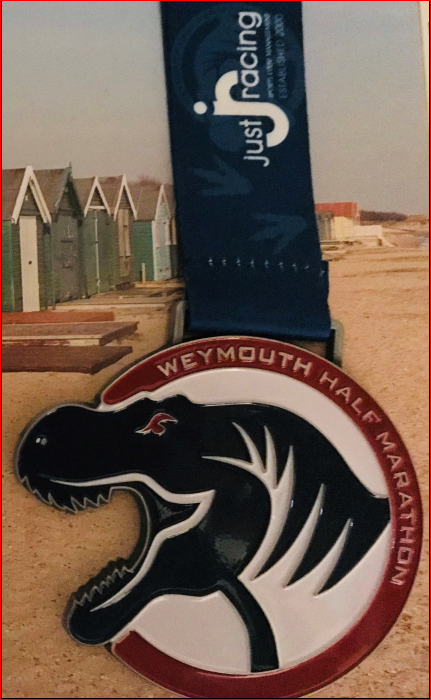 Aka: Weymouth half … or just a weekend food festival?! ” Diminished in numbers, but the remaining 4 buoyed up for another ‘road trip’ – Jon, Tiff, Clive & Nic head off in Clive’s new Volvo with our stash of fruit sherbets. First stop (5mins after we started) , Southdowns bike to stock up on the new flavours of race fuel – margarita with added sodium shot blocks, ginger ale shot blocks and salted caramel gels. All successful flavour wise – Jon’s shot blocks are now his expensive snack of choice and there was talk of icing cup cakes with the salted caramel gel “to make them healthy cakes”! Then the amazing Boston Tea Party in Ringwood for lunch – burger with all the trimmings for Jon, a fancy chorizo hash for Tiff and herby hummus flatbreads for Clive and Nic (not sharing, Clive doesn’t share!). Jon was pleased with his weekend fruit allowance from 2 massive blueberry and ginger smoothies, though he still argues Clif shot blocks = 1 of your 5 a day! Booked in to the Premier Inn – spookily same rooms as this time last year (when the race was called off due to snow!) – then we assumed England rugby would be ok from half-time (how wrong can you be!) and headed off to Nautico in town for dinner. Tried and tested restaurant, and a sister to our local Establo Lounge in Rustington – burgers for Nic (extra gherkins), Jon (Tiff was upsold on everything whilst ordering!) and Tiff (exotic avocado & bacon), Clive had chipotle chicken burrito, all went for the sweet potato fries as they are obviously healthier. Was windy walking into town (not the boys, the weather! ), absolutely torrential rain for the 20mins walk back. Bedtime glass of milk and The Second Marigold Hotel on Premier Inn tv … rock’n’roll! Beautiful morning weather wise and an early morning pre-race bagel and banana. Obligatory selfie on the seafront, then Tiff went off to get her run in before she got run over by the race. Tiff was being sensible in her build back to running and decided 13miles was a bit of a jump right now, so ran a good 10km (half a half) and then made herself suitably glamorous to come out and cheer for the rest of us. Thanks Tiff! All 3 of us had a good half marathon, and we were all pleasantly surprised! Expectations were low, none of us had done nearly enough training in terms of actual running let alone mileage and unbeknown to us the seafront run stopped being flat after about 6miles and headed up (and up) and out to Chesil beach. Clive got a prize – 2nd in his age group – whooo Clive!, but we didn’t realise until we got home. Clive thought lots of the guys ahead of him looked as old as him… but they’d just had long paper rounds and were actually in the younger age group. Food at the finish line consisted of huge bowls of Wotsits, Dolly Mixtures, Haribo fried eggs and malt loaf … awesome! Clive and Jon argued over who was the snottiest running up the finish chute. The medal is fantastic and we all got a finishers buff too. The walk back to the hotel really helped the legs, a quick Nana nap for Nic who’d gone a bit squizzy (possibly from too many fried eggs), then showered, checked out (great that check out isn’t til 12:00) and headed off to Chesil Beach café for lunch – fabulous spot for informed nature watching (not naturist watching!!) and brilliant food. Goujons and chips for Clive, burger for Jon (surprised? ), ham, eggs and chips for Tiff and a huge BLT sandwich for Nic. Cakes were chosen first, but main courses filled the gap so we bailed … however Tiff and Jon egged each other on to a hot chocolate with all the trimmings and the cakes to take home for later. Suitably stuffed we headed on home … and that may have been the end of the snacking if it hadn’t been for the closure of the A27, a lengthy detour and the need for a Starbucks. Coffee’s and little cakes all round. “…and back to the Deer Park for the finish. Organised by the same group that runs Worthing Half, it meant no secure bag drop, like Worthing, (but we did manage to park opposite so could leave everything in the cars). Also a buff was promised at the finish, and like Worthing that did not materialise. (A subsequent e-mail post Worthing said the buff was on its way, but that still hasn’t arrived!). As Rachel stated this was twice we had been ‘ReBuffed'”. 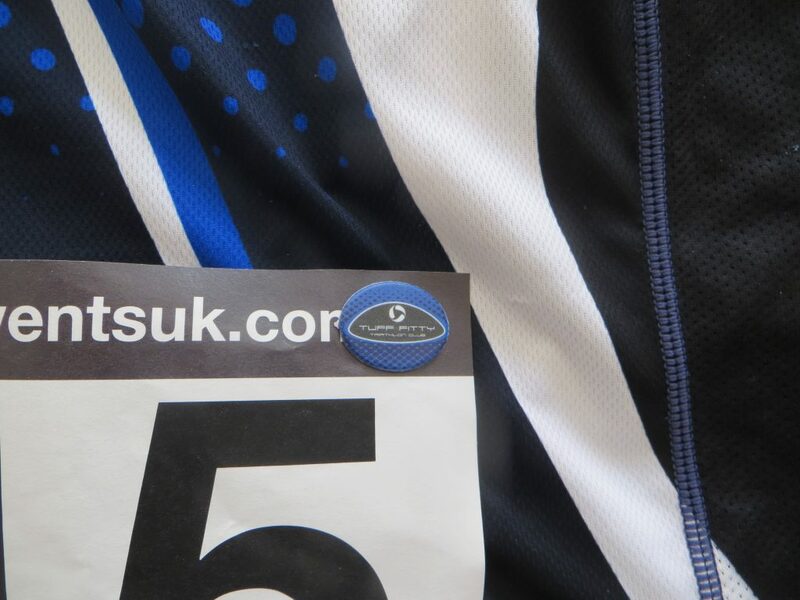 Keep stabbing yourself with pins on your race vest? Then the Tuff branded event clip is just the answer. You make a hole in the race number then the two sides of the clip press together. Once unclipped – no marks on your vest. A supply is held by our kit maestro Clive Patterson-Lett. Cost £4 per set- surely the must have accessory for our windswept coast? Tuff Fitty’s new home pool is now just over a week away. Our home for the last 28 years shuts for the final time on Thursday so there will be NO Thursday evening swim on the 28th March. 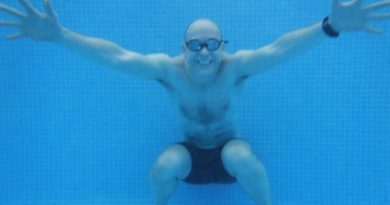 Therefore this Saturday’s swim on the 23rd March at 5pm (please note the time) will be our last ever swim in the old pool. Do come for one last time to celebrate the end of this chapter in our history. 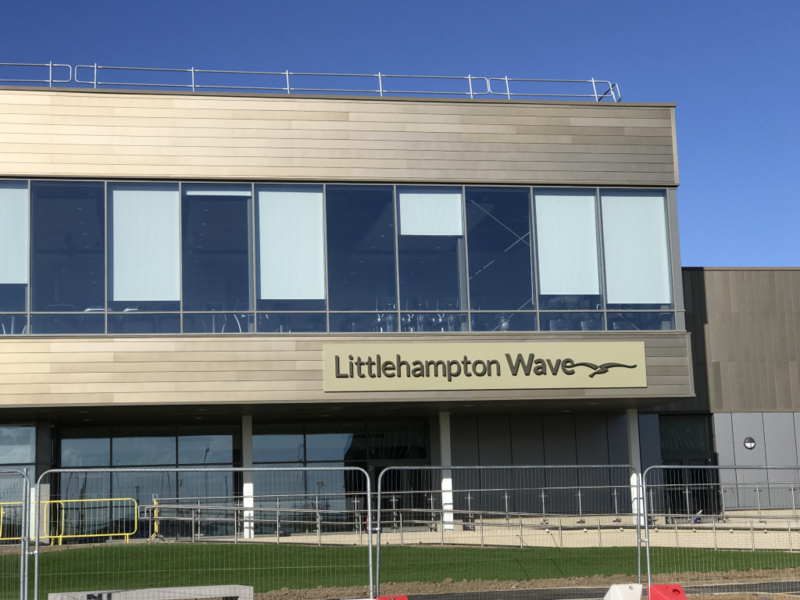 Our first swim in the new Littlehampton Wave will be on Saturday 30th March at 5pm (for an hour) Please come and view the fantastic facilities – meet to pay in the centre on the right (by the cafe). Lockers in the changing village take a £1 coin. Our coaches and committee look forward to seeing you. 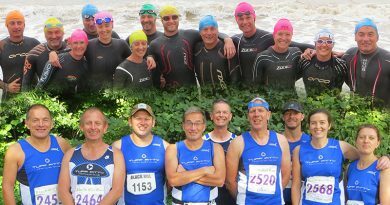 Swim rates remain at £4 per Tuff and the swim loyalty cards remain valid. 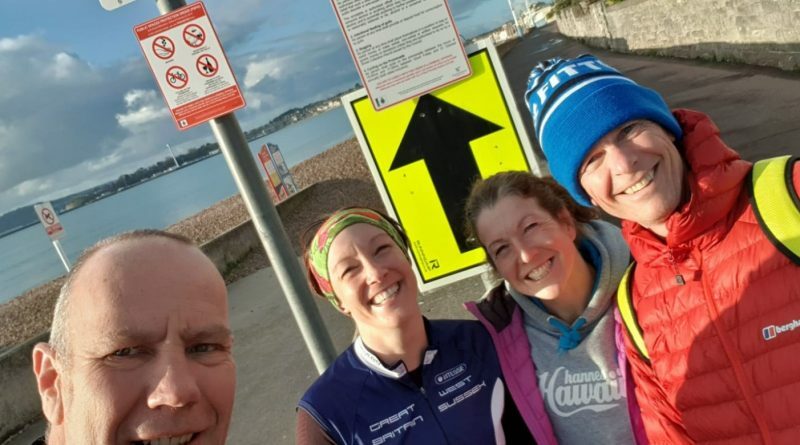 Over at Bognor Park Run Jason Rae rounded off his birthday week with his Park Run number 106. Another week and another PB from Claire Moyle as she shaved a further 36 seconds off the PB she set last week – great work Claire. Up at Maidenhead Park Run, Trevor Harvey completed the run as a warm up for his Half the next day, the run was Maidenhead’s fourth anniversary so there was cake and they ran the course back to front. This left our closet event – Worthing Park Run where Chris Sloggett was first Tuff home in 21:47. he was closely followed by James Oram reaching his 97th Park Run. Next up great news with the second Park Run PB of the week – Dave Priest who took a great 37 seconds off his last PB – congratulations. Amanda De Ridder was next as 5th female overall. 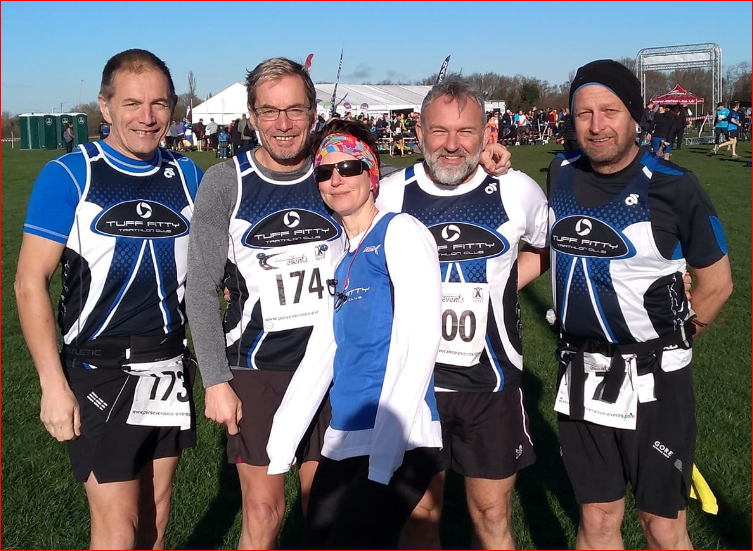 Gary Edge, Tim Kenney & Elaine Rousseau completed the 7 Worthing runners.